A person who desires happiness or success for another, or who expresses such a desire. No one can be a better friend than Kṛṣṇa, nor can anyone be a better well-wisher. Using tree-free paper notebooks for your eco-friendly home, school and office supplies, are environment-friendly and socially responsible. Conscious Children & Adults love Costa Rica Natural™ banana fiber notebooks, made from 100% post-consumer recycled materials and agricultural waste. 80 blank sheets of "treeless" journal paper made from the discarded stalks of banana trees (or pinzotes), which would otherwise have gone to waste. Our banana paper notebooks are Chlorine-free. 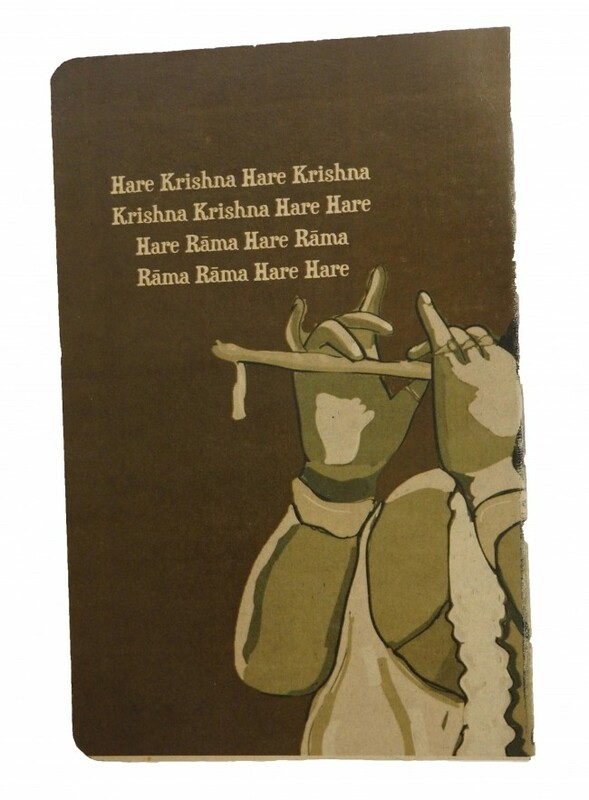 On back cover the maha-mantra: Hare Krishna, Hare Krishna Krishna Krishna, Hare Hare Hare Rama, Hare Rama Rama Rama Hare Hare Using tree-free paper notebooks for your eco-friendly home, school and office supplies, are environment-friendly and socially responsible. Conscious Children & Adults love Costa Rica Natural™ banana fiber notebooks, made from 100% post-consumer recycled materials and agricultural waste. 80 blank sheets of "treeless" journal paper made from the discarded stalks of banana trees (or pinzotes), which would otherwise have gone to waste. Our banana paper notebooks are Chlorine-free. Costa Rica Natural Paper has been making treeless papers since 1992 some of our tree free papers include Banana ™ Paper, Coffee Paper™, Mango Paper ™and Lemon Paper™ made from plantation agricultural-waste. Choosing Ecopaper Treeless, post-consumer paper helps preserve forests. Our Tree Free Paper is Better than a recycled notebook. Made in Costa Rica from post-consumer waste and plantation agricultural waste fibers. • Other Paper Details: Tree free Paper, Acid Free Paper, Banana plantation agricultural waste & 100% Post Consumer Waste, Processed Chlorine Free, Natural Flecked Paper, 22 lb Basis Weight. 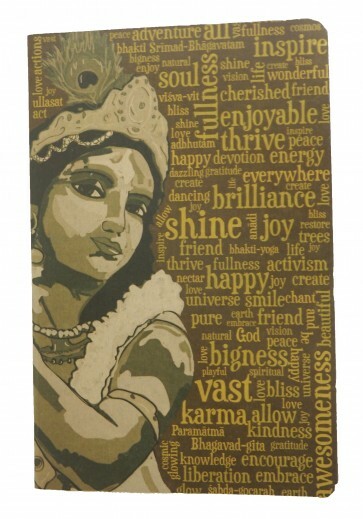 Better than a recycled journal or a recycled notebook.